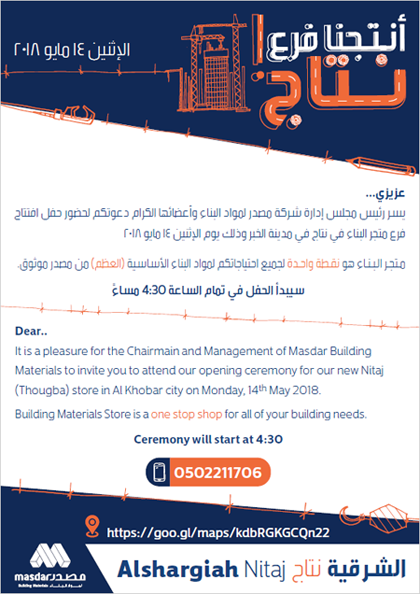 Pleased and honored to welcome you on the website of Masdar Building Materials, as to represent our official social communication channel with all of you, customers and partners in success of which we all feel proud of. 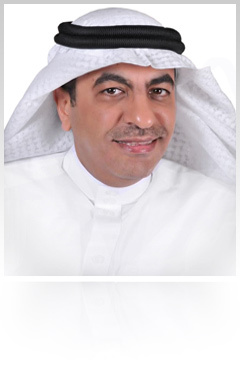 Since 4 decades Al Muhaidib group established a trade mark in the field of Building Materials retail and wholesale, the group lived the significant booming period sought by the Kingdom of Saudi Arabia during the previous decades, which in return allowed it to gain vast experience in its businesses domains. The group kept abreast of the development by establishing unique several commercial and trading companies specialized in the field of Construction and Building Materials retail and wholesale, and noticeably contributed in boosting the economic growth in our country by its geographical distribution and by providing distinguished products with competing rates. In 2012 Al Muhaidib group took the initiative to club all its companies that are in the field of Contracting and construction under one umbrella to strengthen its strategy and to consolidate its position in the Saudi Market. Therefore, the group decided to unify its ownership in those companies and merge them in one new and unified company consolidating all the owned shares in AlMuhaidib Building Materials companies, Al Muhaidib Hardware Company,AlMuhaidib Technical Supplies Company, AlMuhaidib Technical Services Company,and International Timber Company, in one company called“Masdar Building Materials”. Masdar converted to become a closed shareholding company, with a capital of SAR 400 million and a new entity emerged with more than 2400 staff members and about 168 that are scattered in all cities within the Kingdom of Saudi Arabia. From the groups strong believe in change and to cope with the rapid changes in the international markets, and be able to compete by supplying the best items with the best rates to its clients on the basis of mutual trust that are build on constant values and full commitment in presenting them the best always, so it took all necessary action to help in achieving such an objective, therefore, it is currently working hard in implementing the available systems in Enterprise Resources Planning Systems (ERP), as it choose the international system SAP of which will highly reflect on forcing its group of companies to control their businesses and draw its plans on a scientific basis depending on a huge databases, experiences and literatures. Masdar is also trying hard to work in increasing the methods of coordination among its affiliates, and draw their strategic plans in a way that can guarantee a sustainable and continued growth to precede with the group’s success stories.